Choosing an umbrella liability policy isn't easy. For one thing, many insurers issue policies using their own proprietary forms. Thus, umbrellas can vary widely from one to the next. Secondly, the differences between policies can be subtle so umbrellas can be difficult to compare. While shopping for an umbrella can be challenging, your task will be easier if you know what to look for. Here are some questions to ask when reviewing or comparing policies. Image courtesy of [Nora Carol Photography] / Getty Images. Is It Really an Umbrella? 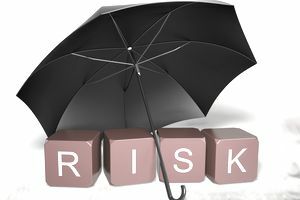 Most umbrella policies provide both excess liability and umbrella coverage. Excess coverage provides extra limits when a loss exceeds the limits provided by your primary liability policy. For example, suppose your firm is hit with a $1.2 million bodily injury claim. Your $1 million umbrella will provide $200,000 in excess coverage after your $1 million primary policy limit has been exhausted. Umbrella coverage applies to claims not covered by your primary insurance. For instance, suppose a claim against your business isn't covered by your primary liability policy because it is subject to the care, custody or control exclusion. The claim is insured under your umbrella coverage because the latter doesn't contain the exclusion. Some so-called umbrellas are really excess policies in disguise. They simply mirror the coverage afforded by standard liability policies. When shopping for an umbrella, look for a policy that affords broader coverage than your primary policies. Your agent or broker can help you determine whether a particular policy is truly an umbrella. What Does the Insuring Agreement Say? Pay on behalf. The policy should state that "we will pay on behalf," meaning the insurer will pay damages upfront rather than providing reimbursement. Avoid any umbrella that begins with the phrase "we will indemnify you." This means that your insurer will reimburse your firm for expenses it has already paid rather than pay them upfront. Coverage trigger. Your umbrella should have the same coverage trigger (occurrence or claims-made) as your primary general liability policy. If the primary liability policy applies on an occurrence basis, the umbrella should apply on an occurrence basis as well. Likewise, you should purchase a claims-made umbrella if your primary general liability policy is claims-made. Self-insured retention (SIR). Check to see whether the umbrella includes a self-insured retention clause (SIR). An SIR is a dollar amount (such as $10,000) that you must pay out of pocket for each claim that is covered by the umbrella but not by your primary insurance. If possible, avoid buying a policy that includes an SIR. An umbrella policy should cover all of the people and entities described in the "who is an insured" section of your general liability and commercial auto liability policies. Ideally, it will provide broader coverage than your basic policies. One important feature to look for is automatic coverage for additional insureds. Many umbrellas cover all parties included as additional insureds under your primary policies. Others cover specific types of additional insureds such as landlords or vendors. Some umbrellas limit coverage to parties for which insurance is required under the terms of a written contract. Is Defense Covered Outside the Limit? The defense section of the policy should state that the insurer will pay defense costs in addition to (not within) the policy limit. This is important since the cost of defending a claim can be substantial. If these costs reduce your limit of insurance, you may have little or no coverage left to pay damages. Some umbrellas don't clearly state whether defense costs are covered inside or outside the limit. If the policy isn't explicit on this issue, look for the term ultimate net loss. The insuring agreement might state that the insurer will pay ultimate net loss on behalf of the insured. If the policy contains this term, make sure you look up its meaning. Be sure that ultimate net loss does not include defense costs. When evaluating an umbrella policy or quote, be sure to review the list of exclusions. Umbrellas often contain two types of exclusions: those included in the policy form and others added by endorsements. Make sure you have a complete list. If you have purchased employers liability and auto liability insurance, your umbrella should include these coverages as well. Make sure they aren't excluded. An umbrella may exclude some losses that are covered by a primary policy. For instance, many umbrellas exclude property damage to premises you rent with no exception for damage by fire. Likewise, many umbrellas exclude obligations imposed on you under an uninsured motorist or no-fault auto law. When reviewing an umbrella, it is important to read the Conditions section of the policy. Many umbrellas contain a condition entitled Maintenance of Underlying Insurance. This clause typically obligates you to maintain all primary policies that are in force when you purchase the umbrella. It may require you to notify your insurer immediately if any primary coverages are canceled, non-renewed or reduced during the policy period. Finally, the coverage territory in an umbrella should be broader than that in your basic liability policies. Most umbrellas cover occurrences and accidents that take place anywhere in the world. Should You Buy a Claims-Made or Occurrence Policy? Is Your Liability Coverage Primary and Noncontributory? Insured, Named Insured, and Additional Insured: What's the Difference? Additional Insured Endorsements - Watch Out For These Pitfalls! What's a Certificate of Liability Insurance? What is The "Other Insurance" Clause?